Forever Brothers Vietnam Veteran Commemorative Challenge Coin | BUDK.com - Knives & Swords At The Lowest Prices! 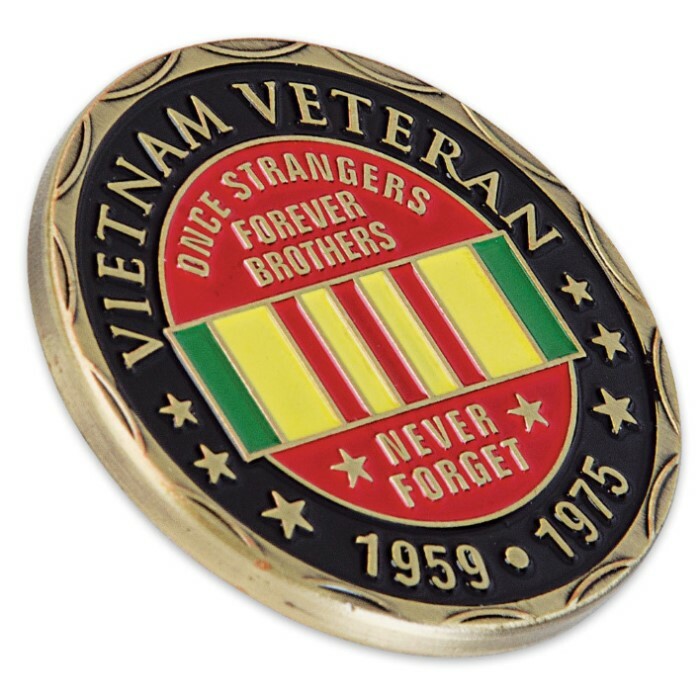 Our brand new, exclusively designed Forever Brothers Vietnam Veteran challenge coin is the perfect way to commemorate your service or that of your solider. 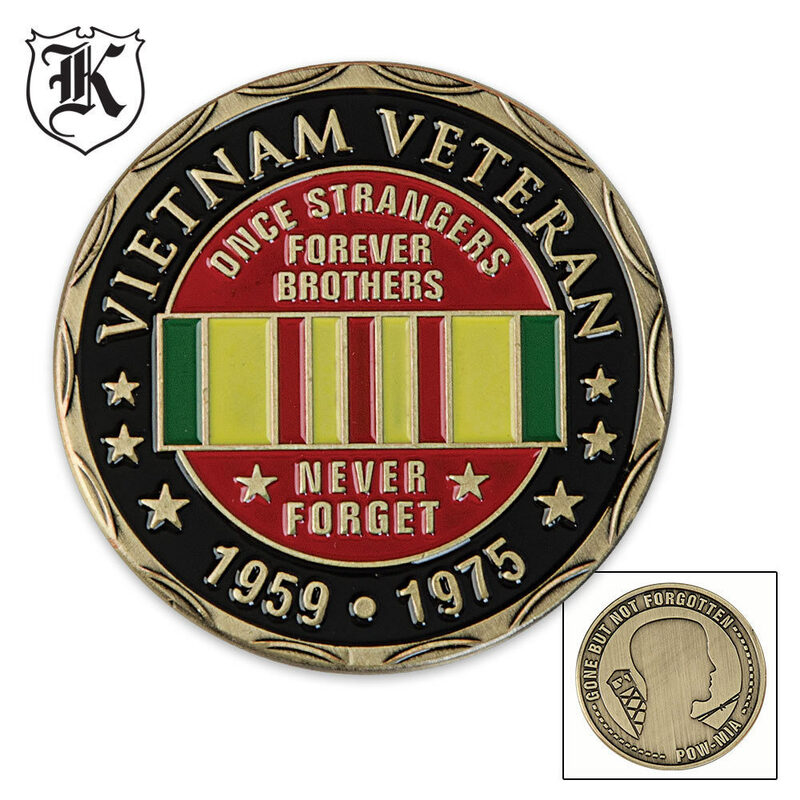 Each antique brass-plated coin features original and exclusive Vietnam Veteran Forever Brothers artwork on one side and a "Gone But Not Forgotten" relief on the other side. 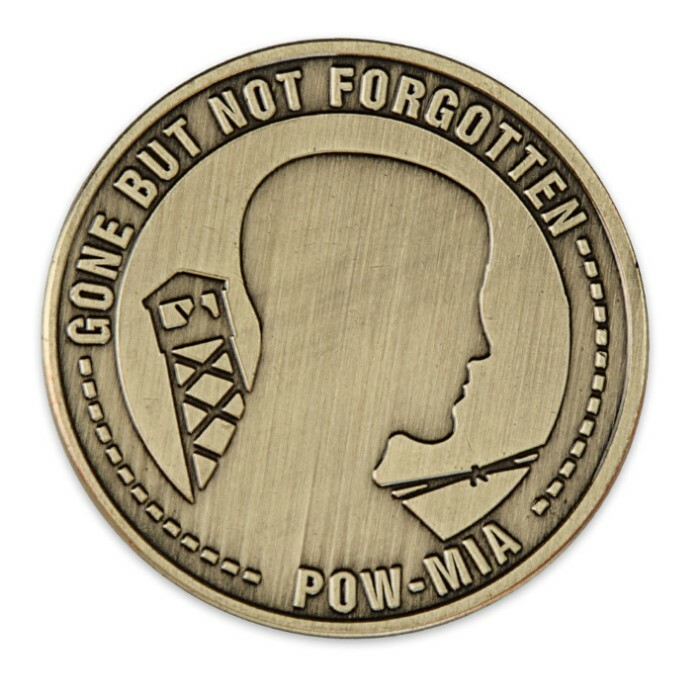 I purchased 3 coins, for myself and 2 Viet Nam buddies who are still with us. We're like the 3 musketeers. One was a Navy Seal, one Jumped out of airplanes and painted targets for the Air Force and I was a helicopter door gunner/mechanic. These coins are very nice. They are quite subdued and not flashy, as it should be. The graphics are very well done. A fine compliment to all brothers who've seen combat.